When Orphan Black hit the screen in 2013, it was a show like no other. You couldn’t describe it, but there was something magical about it, that had you hooked from the first minute. Its influence spread far and wide across the Internet with many, including myself, picking up on the show from word of mouth. I had no idea what it was. Just a show a lot of people spoke out, and from glimpses of the show I saw I was hooked. Within days of the finale airing, I had the whole season binged and was convincing others to watch it. The show had the potential to be legendary. 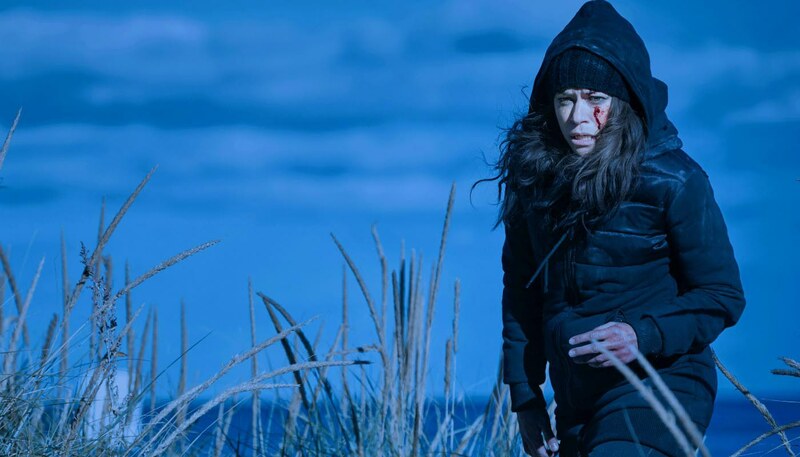 Fast forward to 2017 and there are two camps of Orphan Black fans; ones that will love the show in spite of its flaws, and ones who cannot see past them. 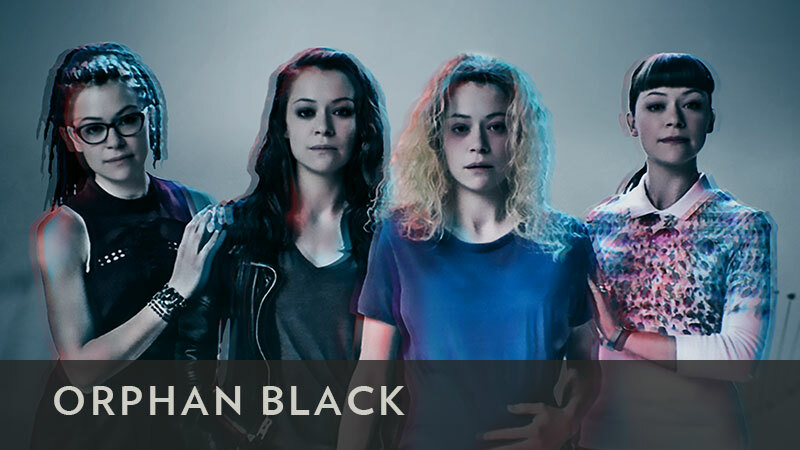 When you have a first season as good as Orphan Black’s, it is near on impossible to repeat that success. Either the show disappears into its own hype, or its been placed on a pedestal so high, it’s impossible to match it. 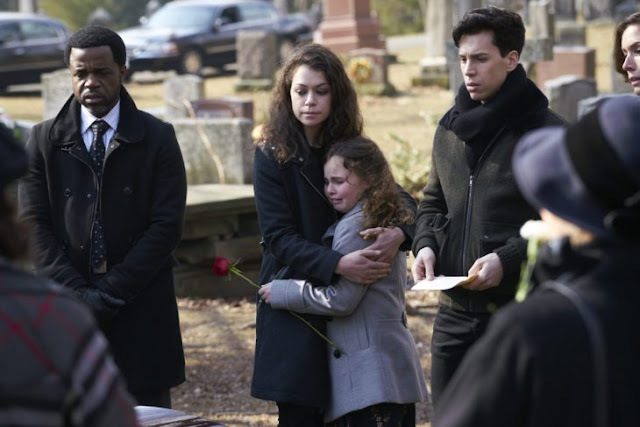 Orphan Black is a rare show that falls into both categories. The first signs that all was not well with the show came in the form of the castor clones. Viewers were drawn to Orphan Black because of the Leda clones. Or more specifically Tatiana Maslanly. Or even more specifically than that, because the show was centered on women. Television is overloaded with shows that have male characters at the forefront. Orphan Black was different to that, as was Tatiana, successfully playing multiple characters at once, and giving them all their own unique identities. Nothing about them from physical appearance to personality was the same. When you watched the show, you were taken aback by the reality this was one actress playing multiple people. She was that good and it was no surprise people were clamoring for her to win an Emmy. Ari Millen is an OK enough actor but he’s not Tatiana. He and the castor clones are not what got people invested in the show. It was all about why Beth had killed herself, Sarah’s journey in discovering others who looked like her, the conspiracy around the clones including friends and loved ones who couldn’t be trusted, and the cat and mouse game. The second sign came in Delphine’s ‘demise’ and the rise of Shay. Due to apparent scheduling conflicts beginning in season 3 that arose from signing onto another show, Evelyne Brochu’s role was downsized. This was setup at the end of season 2 when Rachel sent Delphine off to Germany. 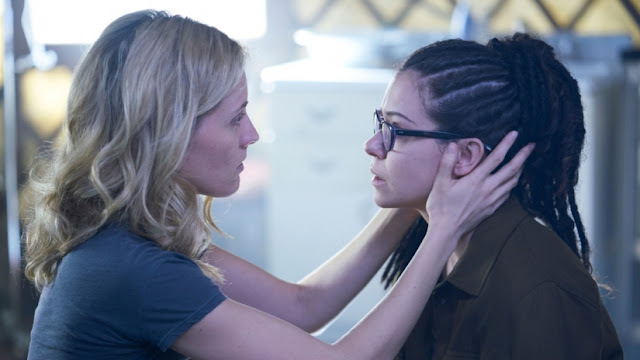 Delphine’s relationship with clone Cosima had become the front and center of the show. People originally came for the clones and stayed ‘for the gays’. There had been betrayal in season 1 but they’d worked past this and in season 2, their relationship blossomed as they ‘scienced together’. But with said conflicts towards the end of the season, angst came into play and at the beginning of season 3, Delphine ended the relationship. It was supposed to be something that was sad, but it really wasn’t. The reasons for the break-up were farcical to say the least, and giving the audience the rise of Shay as a consolation prize? Insulting. Television producers seem to be under the impression they can create an LGBT couple for the audience to fawn over, bathe in the praise, and then at their choosing replace members of that couple with a substitute and still lap it up. Because television producers see LGBT characters and the couples they create as being easily disposable and dispensable. The audience is so desperate for representation, they’ll take any crumb you give them. So season 3 we had the castor clones in full force, many nonsensical story-lines as more and more new characters came into play, and those female clones that had helped give the show they buzz it had faded into the background. 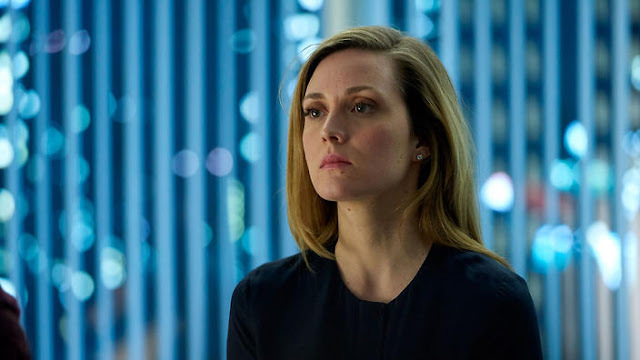 At the end of the season Delphine briefly returned, now portraying the role of the psychotic ex-girlfriend. She had it out for Shay because she was jealous of her relationship with Cosima. Nothing to do with trying to do her job in keeping the clones safe. Nope, all about jealousy, which the show lapped up, and the in the finale, had Delphine shot and her fate left unknown. It was an extremely dirty move that was greeted with the derision it deserved. The ‘bury your gays’ trope has been around for years. The producers knew exactly what they were doing when Delphine was shot. 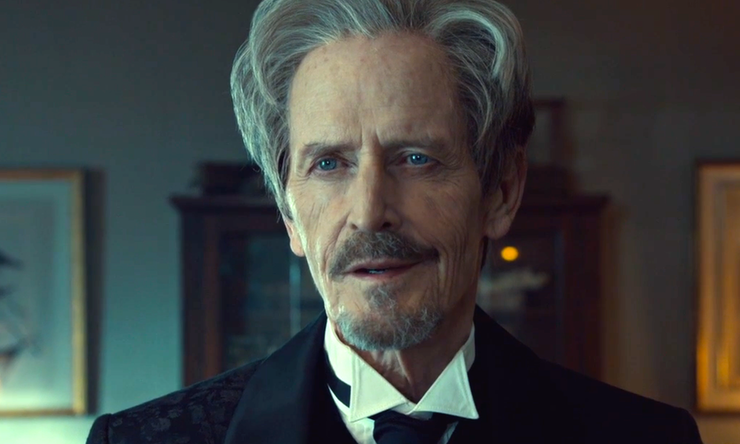 Their attempts at facing the backlash were to play coy, refusing to confirm Delphine’s fate one way or another, and that was a line followed by the actors. Previously speaking up in support of the LGBT community, they were now dismissive of fears, asking fans to watch the show because they enjoyed it, not because of particular characters, and acting as though all of the attention over Delphine’s fate was insulting. As season 4 started, Delphine’s fate was still a hot topic. Fans wanted to hope against hope that Orphan Black would bring her back. The attention got too much for the producers who realized they had messed up. Barely getting away with the relationship interchange, Shay was written off, and Cosima spent the majority of season 4 remembering how much she had previously loved Delphine, and mourning her departure. The show also began to cut back on the castor clones, and overdose of new characters, instead bringing the focus back to the Leda clones. By the time the season ended, Delphine was revealed to be alive and barely well, Cosima ended up on an island that was coincidentally where Delphine was also based and they were reunited. Sarah was badly wounded during another confrontation with Rachel, Alison, Donnie and Helena made for an interesting combination, and the show was sort of back on track. Not by much though, which is probably why the 5th season was confirmed to be the last. I came back into the 5th season having previously not watched the show since season 2. All the above is written based off opinions from people who have stuck by this sinking ship from the beginning to the bitter end. I really don’t think it says a lot about a show that a person can watch a 4th season, and fit so seamlessly back into the shows rhythm. I was supposed to not know who half these characters were, the story, panic thinking I had to go back and watch 2 seasons of the show for everything to make sense. Nope. I slotted seamlessly back in and watched the whole of season 5 without much confusion. That’s how completely pointless season 3 and season 4 of Orphan Black were. Season 5 has the castor clones more or less completely instinct. As a person who gave up watching solely because they were introduced, and therefore stepping away from the shows original message? I was completely ok with that. Delphine & Cosima were still united together in the season opener. Cosima overcome with relief that her love was indeed alive. The explanation as to how Delphine survived being shot and ended up on the island was again non-sensical. But she was back, the focus was back on the leda clones, the convoluted cast list had been completely chopped, and we were back to the basic storytelling that had gripped us in the first place. All was well again. Except it wasn’t. In the second episode M.K is brutally murdered by Ferdinand. Why? Because he’s angry with Rachel for shutting him out, and since he can’t kill her, he’ll just kill a surrogate. The brutality of M.K’s death, not to mention the pointlessness of it all, again drew criticism. Again the producers attempted to defend themselves, and again it fell on deaf ears. Then due to our beloved friend ‘scheduling issues’, Delphine had to again depart. Dedicated fans who were up to date on behind the scenes information didn’t find her temporary exit so alarming these days, as this information had already been revealed and the producers had confirmed it. Despite the fact Cosima had arrived on the island with Delphine being told she wouldn’t be allowed to stay? 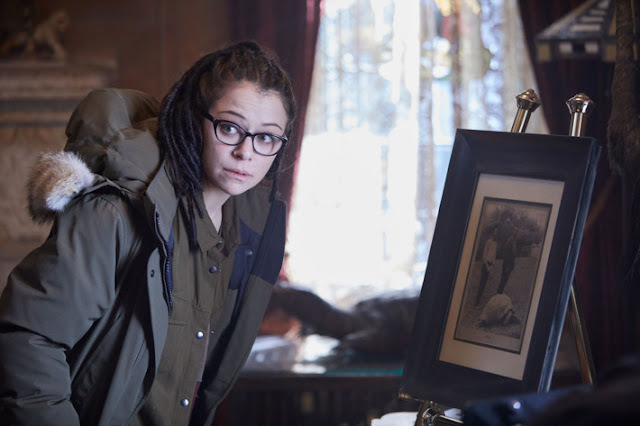 She was, and soon Cosima was back to doing what she does best – sticking her nose where she really shouldn’t and getting into trouble. She wanted to know what exactly was happening on the island. It proclaimed to be an island of miracles, it really wasn’t. After her battle with Rachel, Sarah ended up back home and dry, except she wasn’t . Rachel wanted Kira and Kira wanted Rachel, so she could discover just why she was the way she was. This was a plot that lasted all of 3 episodes, and was completely pointless. Unless you count Kira eventually realizing Rachel didn’t really want to play Auntie, and was instead using her as a guinea pig for PT’s plans, which caused Kira to realize that mummy always knows best. In which case that plot was completely crucial. The main mystery of the final season was PT and the island. Except it wasn’t a mystery, because it was completely obvious that PT was a fraud. 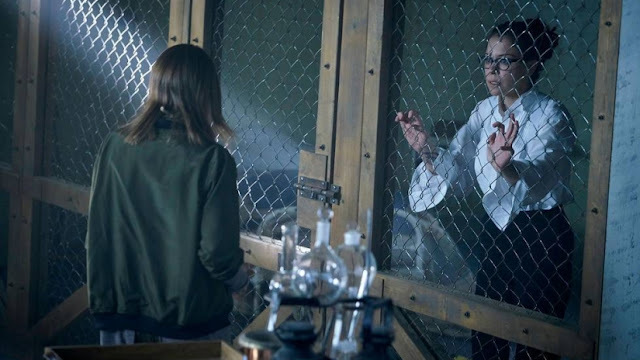 After going through an extremely painful dinner, in which the aftermath caused Delphine & Cosima to give each other some home truths, Cosima confronted PT over playing God and ended up locked in a cage. Where was Delphine when this was happening you ask? Off on a plane to somewhere to do a job for PT, which was actually a cover for her joining Felix and his sister in following the money, that Mrs.S who was secretly working with Delphine hoped would lead to the big guns behind PT. Confused much? I don’t blame you. So Cosima ends up locked in a cage, is eventually let out and exposes PT’s lies to the island. They promptly turn against him, whilst Cosima leaves the island with Charlotte on a boat. Delphine I’m guessing was informed about this over one of those skype calls the show loves to have. But wait, I haven’t mentioned Alison and Helena in a while. That’s my bad. Alison was off in her completely pointless existent, doing completely pointless things, because over 5 years the show hasn’t cared enough about her to have her do non pointless things that are worth mentioning. Oh and Helena disappeared off to some Church to give birth, but the Church wasn’t really that secret considering Gracie founds her. Who is Gracie you ask? Don’t worry, in the next episode she’s dead so it doesn’t matter. To be honest half of the stuff that happened in this final season doesn’t matter. The big mysterious camp is abandoned within episodes. PT is somehow left standing until the final episode where sarah kills him. Coady is brought back as a Susan replacement, and is just as horrible and pointless as she has always been. Because of the show really can’t let go of the castor clones, original castor Mark is brought back in after his brother dies, and is eventually killed by Coady once he’s served his purpose. Alison and Donnie return towards the end of the season, with Alison having had a complete makeover, but still completely pointless, and Donnie just hovers everywhere. Mrs.S and Delphine’s team up is completely wasted due to most of it happening off screen. In fact Delphine’s whole story-line in this final season is wasted because it’s mostly off screen. Everything important to this shows final season is off screen. What is on screen is PT being a mysterious crook we don’t care about, Ferdinand being Ferdinand until he and Mrs.S kill each other, and Rachel finally coming to the realization that all she’s ever been and will be in the eyes of PT and company is an experiment. Coming to the final episode what are we left with? Oh yes, a 20 minute climax which has Sarah finally kill PT, Art & Helena teaming up to kill Coady before Art plays midwife and helps Sarah deliver Helena’s babies. For the last ever 20 minutes of the show? Well it’s brushing past consequences to all the killing and double crossing. Instead we’ve jumped forward sometime to the future which the show doesn’t bother telling us, and everything is rosy. Helena is living with Alison and Donnie and raising her twins in unconventional ways. Alison is throwing a baby shower that brings all the characters together. Sarah is in the process of selling the house Mrs.S was killed in, and struggling with wanting to better herself by taking her GED, and being paranoid she’ll never be good enough and dangers still around the corner. Delphine is once again back, having skipped an entire episode for literally no reason whatsoever, and back in the lab with Scott and Cosima trying to work out where the other clones are so they can be cured. At this point in time I’m of the belief Scott is either a permanent house guest, or Delphine and Cosima are in a polyamorous relationship with him because he’s always there. That’s it. The show ends happily ever after with everyone, well getting their happy ending. Except Rachel. She has to be forever alone, which is really not a good enough price for a character so damned. Nothing in Orphan Black’s final season was exciting. Yes the nonsensical plots have dwindled, the castor clones gone, but that’s really it. The leda clones are the focus but not the focus, and I’m sorry, but having Cosima & Delphine end the show happily together does not make up for Delphine being shot. The only reason the show revived her was because of the backlash they faced over her death. The even bigger problem with this? 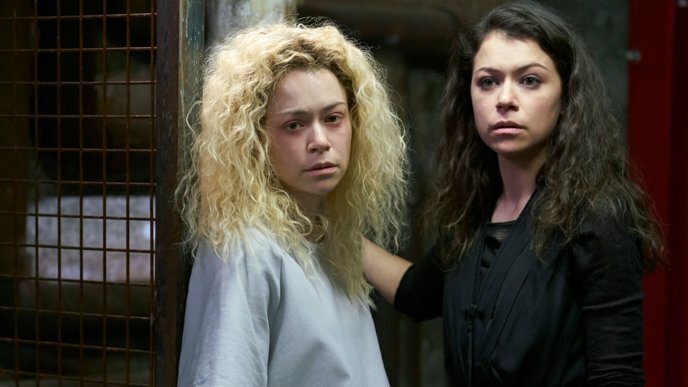 Orphan Black and its cast pride themselves on being friends with the LGBT community. The show is here to support and be that light for people. 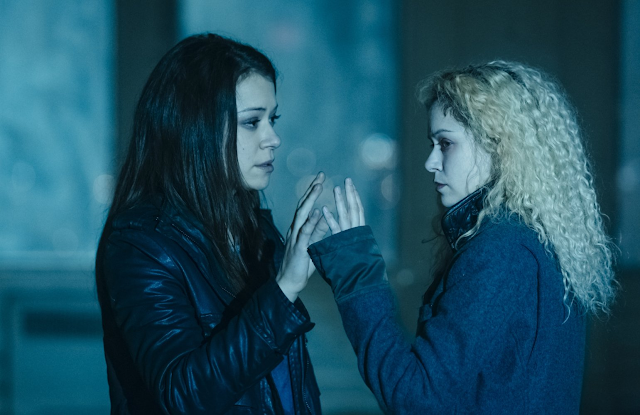 Countless stories have come out from viewers who thanks to Orphan Black, had the courage to be true to themselves over their sexuality. For that I congratulate the people but I cannot congratulate the show, or be happy with Cosima & Delphine ending up together, because quite frankly? I don’t care. Since the end of season 2, Cosima & Delphine’s story has been told off screen. Why should I be happy they came back together, when they had such a nonsensical break-up and Cosima was soon in bed with another woman? It makes her devastation over being told in season 4 that Delphine was dead fake. For the finale season Delphine’s screen time was minuscule. At times she should’ve been present she wasn’t, and the show in the end couldn’t even be bothered to explain. But I’m still supposed to be happy they got 2 minute of screen time at the end of the episode to be happily together? The LGBT community wants better representation in the media. Better characterization in TV shows, to not be killed and replaced so easily, and more screen time devoted to LGBT relationships. Well how is that supposed to happen, when shows doing the absolute least, is paraded around as a celebration? It is possible to be happy an LGBT couple have ended a show alive, happy and well, whilst also criticizing a show for how they’ve handed story-lines. But people shy away from that. Coming to the end season of Orphan Black there has been criticism over Tatiana’s acting, which isn’t something you ever thought you’d read. Complaints that she’s seemed bored, and you haven’t really been able to tell the differences between the clones. That’s one complaint I can agree on as particularly during the clone swap at Felix’s art opening, it did feel like Alison, Cosima & Sarah were the exact same person changing costumes, because it did all look so bad. The original intention of the show-runners was to end the show some seasons ago. 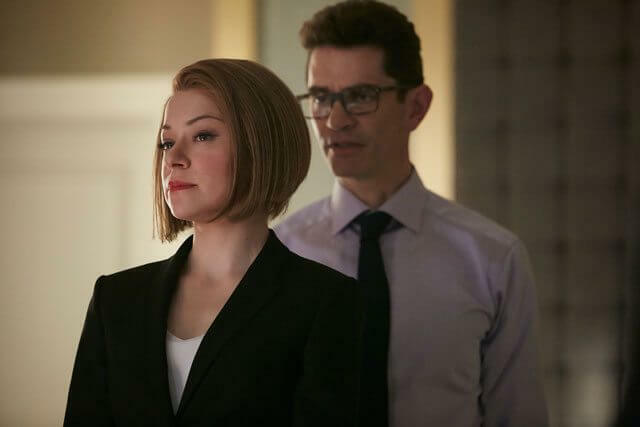 They really should’ve gone out on the high, instead of dragging the dead horse along, because it’s ruined Orphan Black’s legacy.